Hello everybody and welcome to this, the first edition of SW & C Jackson Life. Through this periodic newsletter, I hope to keep you abreast with practice life, offers you may be interested in and interesting optical titbits. Amazing though it seems, it is now 10 years since I bought the practice. In this time the practice has seen some changes. We started with a complete refit and frames restock. Since then we have invested in two new visual field screeners which assess what you see out of the corners of your eyes, a new slit lamp to look at the front and back of your eye in great detail, a keratometer to measure corneal curvature and most recently a fundus camera for photographing the back of the eye. After 10 years I felt that we could do with a bit of a change so we recently decorated throughout ( do come and see our lovely new grey interior!) 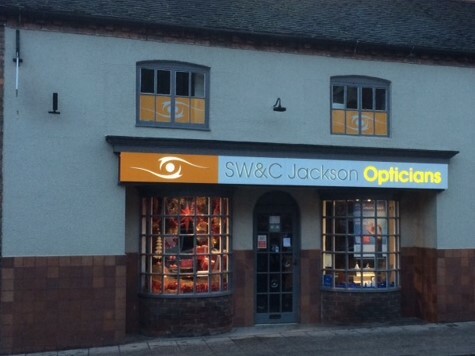 had a new sign erected and a new website www.jacksonsopticians.com complete with its own blog. We are also now on Facebook – well, you have to move with the times! After a very long fight, we can now offer the Diabetic Retinopathy Screening Service! Hooray!! We are happy to see both existing patients and new faces alike so please spread the word. This autumn we said goodbye to Pam Girdwood who had been working with us for nearly four years. Pam, who was a qualified dispensing optician, closed her practice in Crewe and was enjoying the quiet life when we tempted her back to work. We all learned a lot from her and were very sorry when she announced that she was moving away from the area to be closer to her mother who is in frail health. We wish her a long and happy retirement! Next time you visit the practice, please say hello to Jean who has come to work with us since Pam’s retirement. Although new to optometry, Jean has a wealth of experience working with the public, she also makes an excellent chocolate cake! Felix Corson, who is sponsored by SW & C Jackson has enjoyed another great years’ sailing. After a successful campaign last year in the double handed RS Feva dinghy, he swapped to the single handed Topper in July and has not looked back. He competed in the week long National Championship in Pwllheli a week after he changed boats and came a creditable mid fleet. A good performance in a number of competitions over the summer and autumn including one very long drive down to Poole has seen him selected for the Welsh National Topper Squad this winter. Well done Felix! We are pleased to announce that this year we have taken on several new frame ranges that we feel will appeal to our patients. These include Kenzo, Oakley, Maurice Morrell, and Evatik. We have also increased the number of the elegant Silhouette rimless spectacles that we hold in stock as they proved to be so popular last year. As some of you will be aware, I got married this summer to my life partner Robert. 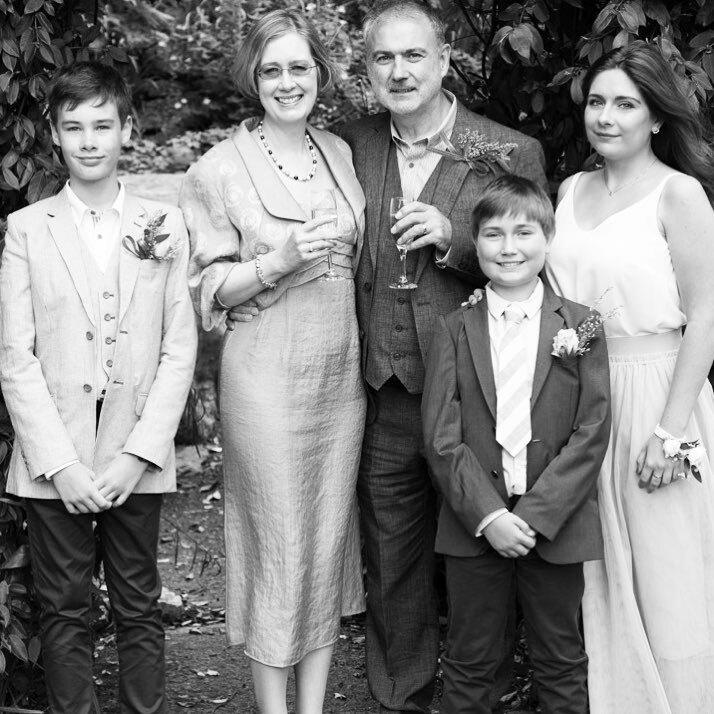 We had a lovely day for family and close friends – and of course all the staff came. I will still be practising under the name of Corson. For those who are interested, the bride wore pink! We all deserve a break at Christmas so the practice will close on December 22nd and reopen on January 3rd 2018. We will be open between 10.00am and 2.00pm on Thursday December 30th for anyone needing a running repair but we will not be offering eye examinations. During the period we are closed, anybody experiencing an acute eye problem should attend Leighton Hospital accident and emergency. So Merry Christmas to all our patients. Thank you for your ongoing patronage through 2017 – we couldn’t do it without you. We wish you a safe and peaceful New Year and look forward to seeing you in 2018.